These are some of the best tools out there — they’re the elite. Choose any of these color and palette tools for ease of use and great results. Color Scheme Designer: As you might imagine, this tool is meant to help you design a color scheme. This is extremely user friendly, with the ability to use the drag method to select different hues off a color wheel. You can also easily export the hex codes you need to use for text, xml or html. A handy preview feature allows you to see what the color scheme might look like on an actual web site. kuler: This is one of the most popular color design tools out there. This palette tool is an Adobe product, and, as you would expect, is compatible with other Adobe design products. The color themes you create using kuler can be easily moved into other Adobe products. A desktop application provides you with the ability to grab swatches from kuler and then apply them to the other applications you might use in your web design efforts. COLOURlovers: If you are interested in seeing what others are up to, you can use this palette tool to peruse the work of others. This is more of a color trend resource that helps you find inspiration from other web designers. You can also view themes used by actual popular web sites and even magazines. Color Hunter: Do you like something you saw in a photo and want to recreate some of the colors? With Color Hunter, this is possible. You can enter a photo’s URL, or upload an image, and this neat tool will generate a palette for you, based on what is in the picture. It’s a great way to grab the colors you like. ColorBlender: If you are looking for complementary colors, this is a good way to go. It’s fast and easy. You pick one color that you like, and then ColorBlender will help you generate a set of complementary colors. You can see a number of different blends and create a color palette based around the theme of a specific color. You can then import your color palette in Illustrator or Photoshop. ColorBlender will even email you a specific URL for your color palette. Color Jack: The sheer number of tools available from Color Jack is a little staggering at first. However, once you get the hang of it, Color Jack becomes almost indispensable. One of the coolest features is the Color Galaxy. This tool lets you see which colors are recognized by different browsers and operating systems — quite helpful in finding colors that are compatible with the maximum number of systems used by computer users. Unsafe Color Match Tool: If you are a coder, this tool could be for you. Many web design palette tools aren’t particularly coder-friendly. However, Unsafe Color Match provides you with a way to modify different aspects of your color design, including text, links and background, and then displays the code. The preview function allows you to get a taste of what your web site is likely to look like. ColorCombos: This tool is meant to help you figure out color combinations and even search a special library. If you want to make your own color, or create a combo, you can do so with the handy “Color Tester” tool. You can use ColorCombos to make template consisting of hex codes, as well as download an image of your palette creation. DeGraeve Color Palette Generator: This is a tool similar to the Color Hunter. If you want a better look at the colors available in a particularly attractive image, you can enter the URL and get a list. You can see what the colors look like, as well as get their hex codes. 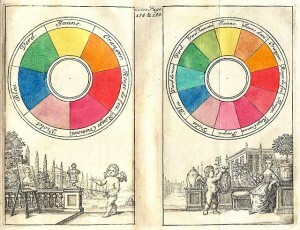 Colors are divided into “dull” and “vibrant”. VisiBone Color Lab: If you are interested in web safe colors, this is the place to go. It’s all about making the fast grab of interesting colors. For the most part, this palette tool is actually rather primitive. However, it is a great tool for the beginning web designer, or the designer who is looking to do something quickly. colr.org: This is another cool color tool that allows you to browse schemes created by others. It is a very simple tool that allows you to load images from different sites and get a color read-out. You can also use a random feature that will pull images from Flickr to give you some good color ideas. ColorSchemer: Users develop the color and palette tools available on ColorSchemer. You can peruse the library to get some good ideas, and find tools that work well for you. If you want to create your own color palette, though, you will have to purchase the desktop application. But this can be a good tool for the regular designer. Check My Colours: Want to know where to begin? This tool will analyze your foreground and background colors and check the combos on your web site. The idea is to help you figure out whether you have a good color scheme, and provide you with ideas of how you can tweak your site to be more attractive. EasyRGB: If you are interested in color technology and creating attractive sites, this tool can provide you with the ability to make harmonies, and use a helpful color calculator. GenoPal: This tool is aimed at helping you find complementary colors that can help you find color harmony. ColourMod: This is a dhtml color picker that can help you figure out which colors to use. There are different versions that can help you fulfill different design goals and functions. Daily Color Scheme: Provides you with different color schemes each day. You can get the hex, rgb and hsb codes for the different schemes as well. ColorMix: Provides stock images that you can use to integrate into your color scheme. Palette Man: Color schemes and their palettes are offered. You can enter your own hex codes to tweak what’s already there, and see how different colors interact. Jeff Minard’s Color Palette Generator: This is a tool that allows you to upload images and then create a palette based on the colors it contains. Color Wizard: Submit a single color that is of interest for you. Then the color wizard will provide you with a matching color palette that includes hues, tints and saturation. Colorspire: Using a color wheel and a web design template, you can see how different color schemes might working, using complementary colors and adjusting your position on a grid. Gray Bit: This tool converts your color scheme to grayscale so that you can see whether or not it has good contrast between background and text. ColoRotate: An interesting way to view colors — as they display in 3D. ColorMunki: This is a tool that offers help for photographers as well as designers. It’s meant to help with workflow.